What foods were historical figures like Emily Dickinson, Benjamin Franklin, and Leonardo Da Vinci eating during their lifetimes? 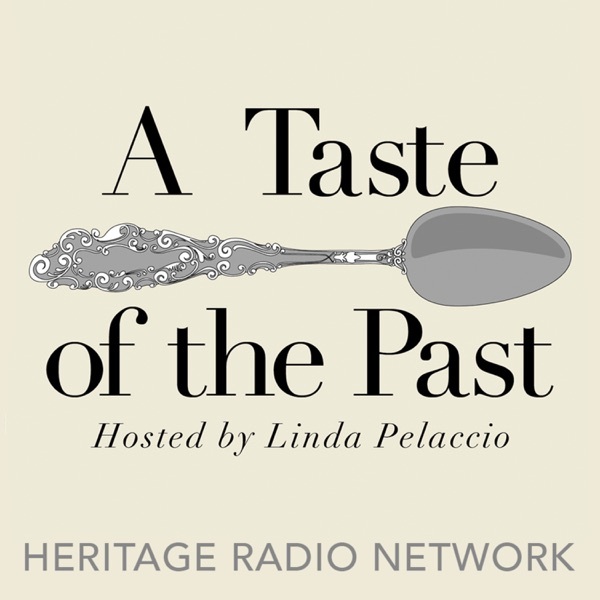 On this weeks episode of A Taste of the Past, Linda Pelaccio chats with Tori Avey- author and food writer- and the editor and curator of TheHistoryKitchen.com! Tori, who also serves as the chair for the IACP Food History Section, became interested in history through her grandparents, and was always fascinated by the kitchen. Hear how Tori combined her two loves by researching Jewish cuisine, and how that research fueled TheHistoryKitchen.com. Later, hear Linda and Tori talk about the importance of referencing primary sources in culinary history. Follow the recipe below to bake one of Emily Dickinsons favorite cakes! This program has been sponsored by White Oak Pastures. Thanks to Four Lincolns for todays music. Its really important that the research be solid on the site. I have open comments; I want readers to be able to interact with the content. [9:45] One of the things that really fascinates me is connecting to a historical person and seeing what they were eating or cooking. [12:50] -- Tori Avey on A Taste of the Past ------------------------------------- Emily Dickinsons Coconut Cake 2 cups flour 1 tsp cream of tartar + 1/2 tsp baking soda OR 1 1/2 tsp baking powder 1 cup sugar 1/2 cup unsalted butter, room temperature 2 eggs 1/2 cup milk 1 cup shredded coconut Preheat your oven to 325 degrees F. In a large mixing bowl, sift together the flour and cream of tartar + baking soda OR baking powder. I used my antique sifter to get in the Emily Dickinson mood. In a medium mixing bowl, cream the butter and sugar together till the mixture is light and fluffy, and the sugar is well incorporated into the butter. I did this by hand, the old fashioned way, like Emily Dickinson would have. It took several minutes. You can do it much faster with an electric mixer. Mix in the eggs, then the milk. Add liquid ingredients to dry and stir till just incorporated. A thick batter will form. Do not overmix. Fold in the shredded coconut. If your shredded coconut is dry (not fresh), rehydrate it with a little warm water and drain well before mixing it into the batter. Again, dont overmix. Spread the batter into a small loaf pan. Bake the cake for 50-60 minutes on the middle rack of your oven till cooked through and golden brown around the edges. Test with a skewer or toothpick for doneness in a few places-- if the toothpick comes out clean (no wet batter sticking to it), its done. The cake is not overly sweet, which was perfect for me (I dont like my desserts too sweet). If you want to sweeten it up, use a bit more sugar, or use sweetened coconut instead of regular coconut. Enjoy!